Water, Water Everywhere, But How Do Companies Sell It? Editor’s note: This week we feature a four-part series analyzing community-scale water solutions using the 5 P’s framework: Population, Problem, Product, Process, and Partnerships. The series was contributed by researchers from the Rural Market Insight team at the Centre for Development Finance (CDF), who recently spent a month in Rajasthan discovering Base of the Pyramid consumer preferences for treated water. We encourage you to engage in the discussion by adding your comments and questions to the posts. You can also participate in Ask Acumen, which this week offers the opportunity to learn more about Acumen Fund’s work with social enterprises that address water-related challenges. “How can it be clean water if it is so cheap?” Subhash, a tailor from Rolsabar village in Rajasthan’s Sikar district, asked skeptically. While Sarvajal, an Ahmedabad-based social enterprise, has been promoting market-based water solutions in his village for over a year, Subhash and his neighbors are still not sold on the value of purchasing filtered water. His sentiments distill the challenge of effectively marketing to customers at the BoP. Educating potential BoP customers on all five P’s: population, problem, product, process, and partnerships – can increase trust and understanding in the company and its health impacts. While all companies face marketing challenges, the 5 P’s are especially critical to marketing push products to India’s nearly one billion people who live in rural and peri-urban areas on less than $2 a day. For filtered water, companies must create demand for the products, since, at least historically, people accessed drinking water relatively cheaply or for free through government subsidies, private wells and community water tanks. In partnership with Sarvajal, CDF’s RMI initiative conducted a month-long pilot study in three locations in northeastern Rajasthan to explore consumer perceptions and demand dynamics of villages with access to filtered water. Established in 2008 as a part of Piramal Water Pvt. Ltd., Sarvajal provides sustainable drinking water solutions to rural and urban communities that lack adequate potable water. The purpose of the study was to understand consumer preferences and motivations that drive household decisions in purchasing purified water. How do consumers perceive drinking water? Why do consumers buy water? For those who do not, why are consumers not buying water? What factors drive the decision to purchase? Learning how consumers react to such services can help filtered water companies committed to safe drinking water develop effective consumer awareness campaigns that increase the consumer base, create stronger relationships within the community and eventually, sell more clean water. Using qualitative research methods, the RMI team conducted dozens of semi-structured interviews and focus group discussions with users and non-users in areas where water purification plants operate. (Above: “If 1L of water sells in the market for Rs.18, then how can they sell 20L of water for Rs.10?” asked Subhash a tailor from Rolsabsar village in Rajasthan’s Sikar district. Subhash and his family drink water from a private well). Sarvajal has already made a splash in India’s drinking water space by winning the Sankalp 2010 Awards as the top investment-worthy enterprise in health, water and sanitation. Sarvajal uses a franchise model to partner with entrepreneurs, local governments and cooperatives to set up filtration plants, equipped with reverse osmosis technology, that produce pure water at a base rate of 25 Paisa per litre. In just two years, over 115 franchises have been set up in Gujarat and Rajasthan. Sarvajal is one of the few social ventures focused solely on water – developing the market, innovating technology and promoting safe drinking water while trying to make a profit. They are always looking for solutions to the complex situations they face every day. 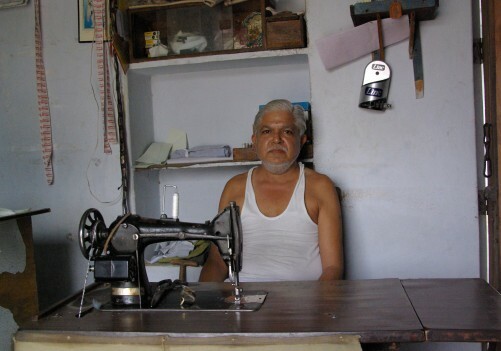 Subhash the tailor was one of the many voices captured in the pilot study who have been exposed to Sarvajal’s water filtration products and purification methods for a long time. But, like many others, he remained unconvinced. (Above: A Sarvajal Plant in Chirawa town, a four-hour drive from Jaipur. Established in August 2008, this Chirawa plant was the first Sarvajal franchisee). Every positive point we made about filtered water he refuted; every critical comment we made about filtered water he also refuted. This led us to our most significant insight: no matter what the product is or how beneficial it is, education and communication are essential. The consumers we interacted with place a strong importance on their own understanding and first-hand knowledge of the product. So companies must realize that awareness and exposure are not enough to persuade skeptical potential customers. The concept of purity – and its relation to accessibility, affordability, availability and even branding – must be smartly positioned and explained. In the field, we gained a valuable understanding of the population. 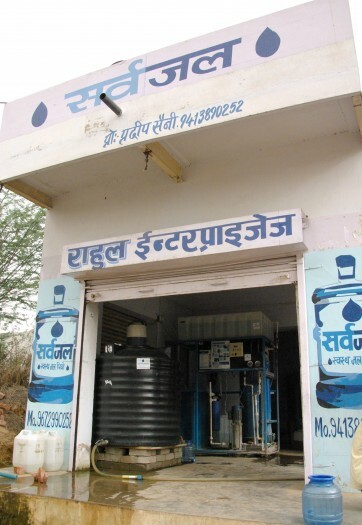 One senses the high existing demand for clean drinking water and sees that Sarvajal is providing a welcomed service. But, it quickly became evident that, while success may not be easily defined, scaling up for social ventures in water seems to depend on effectively communicating to every Subhash out there through the 5 P’s: Population Understanding, Problem Identification, Product Explanation, Process Outline, and Partnership Building – so that more people understand the benefits, more people see value in clean water, and more people drink clean water. With the right marketing strategy and awareness campaign, maybe Subhash will not only want to buy filtered water for himself, but also convince his neighbor to buy it, too. Special thanks to David Fuente, Geetanjali Shahi, Bree Bacon Woodbridge, and the team at Sarvajal for their help throughout this series. * No relation to E. Jerome McCarthy’s 4 P marketing classification from 1960, although some overlaps do exist. Read more here.